Continuous development in the industrial sector constantly places new challenges on the market. We know that breakthrough ideas and solutions are created by people, who go beyond the scheme while observing the behavior and needs appearing in the business environment. With this in mind, Południowa Grupa Handlowa was founded in 2016. Our priority is to take care of the quality of products and solid consulting. We believe this is the best way for long-term cooperation. Solutions for our customers are designed to help them develop. Every customer is our business partner. His/her success and satisfaction are closely related to our existence. We are constantly looking for innovative solutions that will improve and streamline the products and processes of our business partners. We want to offer our customers the highest quality of products and services, based on ever-new solutions. We have confidence that our innovative technologies will contribute to improvements that will refine and bring new quality to our manufacturing processes, technologies, as well as final products and services. Companies whose products and technologies we offer are strategic partners of global business leaders and important institutions, such as the US Army. Each of our proposed manufacturers is featured by an innovative approach, allowing for sustainable development of the assortment. Thanks to that we introduce to our clients’ businesses modern solutions, which concurrently are completely safe. We are proud of the fact that, thanks to our initiative, Polish entrepreneurs have access to the leading-edge technology and solutions, which allow them to build the competitive edge in markets from around the world. All tools and solutions available in our offer are tested by us in conditions in which they will be used by our customers. This is facilitated by the machine park, equipped with more than 100 machines and devices. All tests are conducted by professionals with over 30 years of experience, so we are assured of the effectiveness and safety of our solutions. We offer a wide and current range of products targeted at the industrial sector. We offer winning solutions, which have been implemented by world leaders in business. Cooperation with us guarantees consulting and support from our experts at every stage of the project. 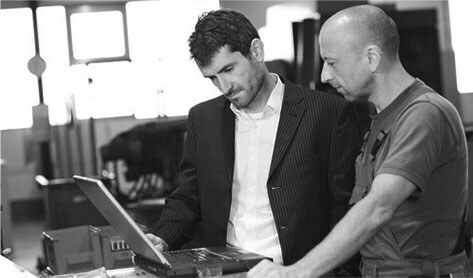 The products proposed by us are tested by our specialists. We are constantly searching for development corresponding to the needs of the industrial sector. 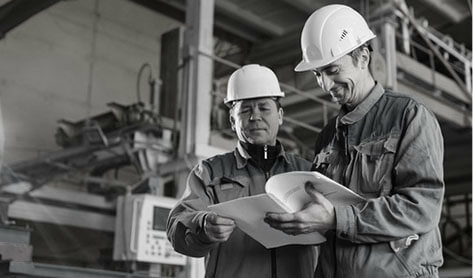 We implement solutions that increase the efficiency of manufacturing processes and streamline costs of the company.